This is an adult Large Bright Orange colored Gildan shirt, 100% 6oz. cotton. 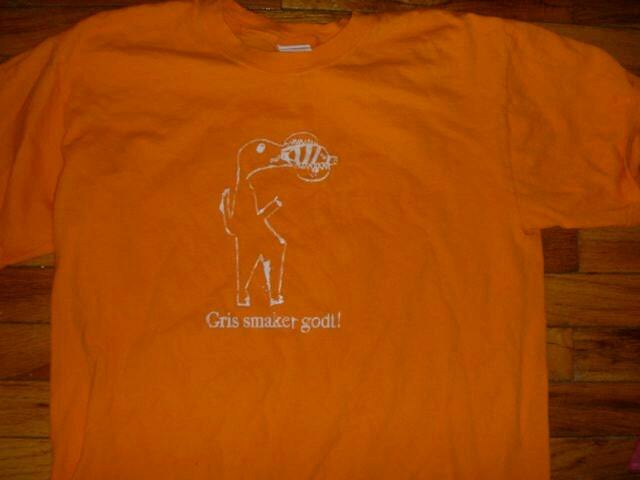 It says "Gris smaker godt!" which is roughly translated as "pig is tasty" It has a crocodile eating a pig, drawn by 10 year old Vera.